A Productivity Commission report says parts of south-west Sydney, southern Melbourne and Logan in Brisbane currently have less than 40 per cent of the NDIS workforce they will need. “Some jurisdictions have greater capability to meet workforce targets than others,” it said. 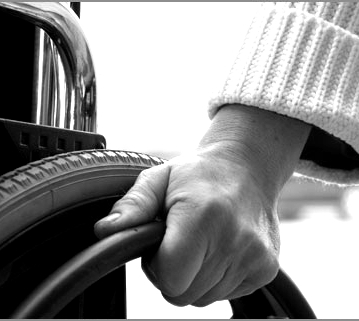 Australia's disability workforce will need to double by 2020. So the commission is investigating whether that growth is feasible amid “evidence that providers are finding it more difficult to recruit staff”. National Disability Services (NDS) chief Ken Baker says it will be a challenge. “Even at this stage, where the demand is not so acute, many disability service providers are having difficulty recruiting staff,” Dr Baker told the ABC. “That's not an experience that's evenly distributed around the country, but in some areas it's certainly quite severe. But other regions like northern Sydney or eastern Adelaide already have over 80 per cent of the expected workforce. A survey by NDS in 2015 and 2016 found close to half of all organisations struggled under moderate or extreme difficulty in attracting staff, with speech therapists and psychologists particularly hard to find. The Productivity Commission’s new issues paper is part of a scheduled pre-rollout review of the NDIS – a scheme which will cost $22 billion a year and cover 460,000 Australians by the end of the decade. But the bean-counters will be concerned about cost pressures, as more children than expected have already joined the scheme in parts of South Australia, Victoria and the ACT. Additionally, fewer people than expected exited the NDIS during trial periods while cost of care packages is increasing faster than inflation. A final report should by ready by September this year.